The weather has been changing and so has my skin. Enter Clarisonic! I'm very excited to have had the opportunity to work with Her Campus and the revolutionary skincare brand. They kindly sent me the Clarisonic Deep Pore Mia 2 set to give a spin...get it, because the Clarisonic brush spins? This is my first time ever owning a Clarisonic and I couldn't be happier to welcome it to my skincare routine. I must admit, I was nervous to try it since my skin is super sensitive. On my first go-around, I spot tested my chin to see how my skin would react to the brush. I used a cleanser that's part of my daily routine instead of the Deep Pore one so I would know for sure if it was the brush that was bothering me. When I woke up the next morning and there was no reaction, I was overjoyed. I kept using the cleanser my skin is used to with the brush for about two weeks, then made the switch to the Deep Pore Daily Cleanser. I tried it on my face without the brush for a night or two at first to make sure my skin wouldn't break out, which it didn't. I definitely recommend always testing a new product out on a small part of your skin before you go all in. Long story short, I am very impressed with the Deep Pore Mia 2 set! I use it at night to cleanse after I have washed all my makeup off. I splash my face with warm water, apply a small amount of the Deep Pore Daily Cleanser, wet and turn on the Mia 2, and move the brush in circular motions around my skin. The brush itself beeps to tell you when it's time to move to a different area of your face, and the whole routine takes only one minute. I follow up with my favorite face moisturizer. The true gem of the Deep Pore set is the Detoxifying Clay Mask. It made a huge difference in my skin after just one use. The Deep Pore brush head is gentle, not harsh, and effectively cleanses my skin. In the few short weeks I've been using the Mia 2 system, my skin has become softer, less red, and had fewer breakouts. My makeup goes on smoother and sits nicely on my skin. It really is a miracle worker. I am confident the Clarisonic Mia 2 cleansing system is going to help me have healthy, glowing skin for life. Smooth skin is always in style. 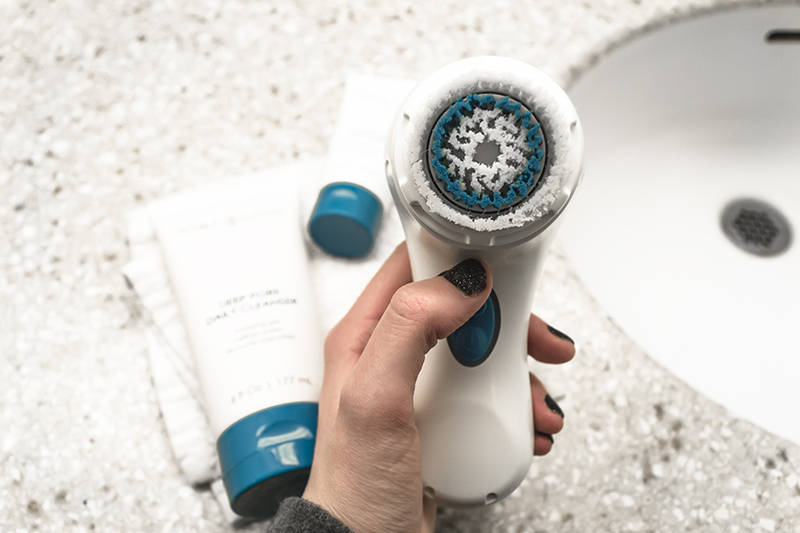 Get 15% off a Clarisonic device through November 20th with the code "HERCAMPUS." 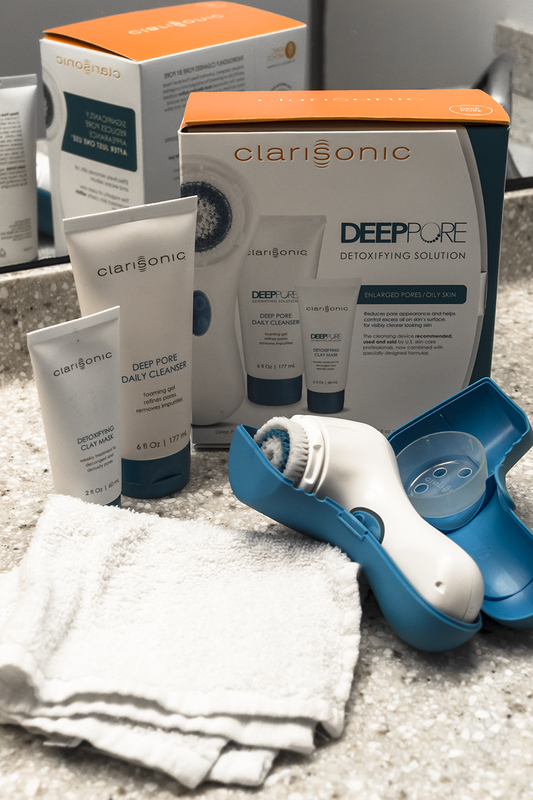 A big thank you again to Clarisonic and Her Campus for gifting me with the Deep Pore Mia 2 set! 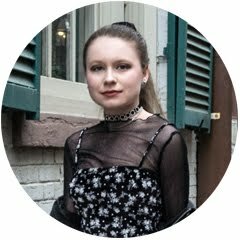 FTC: This post was sponsored by Clarisonic and Her Campus Media. All opinions are authentic and my own.